Very easy! Email us to discuss the details of the tour, we usually reply in a minute. I would like to change some parts of the tour. Is it possible? Yes, it is possible. Contact us and we will help you to make up your personal itinerary that suits your interests and needs. How to book a personalized tour? Feel free to contact us and list your interests and needs, we will write back to you and come up with your personalized itinerary. We like doing a friendly and simple calculation for the tour with no hidden costs! It will be based on guide service (rates for half day or full day), car hire (for driving tours), museum entrance tickets and as a bonus you get our Free language mobile support at all times during your travel in Russia. We accept cash. You may comfortably pay on the day of the tour. Does the cost of the tour include the entrance fees? Entrance fees, car service and guide service are included in the listed price of the tour. I am a cruise passenger – Can I have private tour and do I need a visa? Yes! We organize private tours for cruise passengers and do take care about the visa tickets. All you need is to send us the scanned copies of your ID’s just two weeks in advance before the date of your arrival. Our private tour itineraries are designed to meet your budget, time, interests and group size. You can book half-day, one, two and three-day tour programs. Let us know! Can Babushka Travel bypass the lines or buy tickets in advance? Yes, for all private tours in Saint-Petersburg we provide preferred entrance and pre-purchased tickets where necessary in order to avoid the lines. We have no cancellation fees! Please inform us asap if you want to cancel the tour. I have a river cruise and will be arriving by ship. Can I have the tour? Yes. That is not a problem at all. We will be happy to meet you at the River Station in St.Petersburg.You will just need to specify your ship name. How do I recognize my guide? The guide will be holding a letter plate with your name on it at the agreed meeting point (hotel, airport or ship). We also provide mobile phone numbers of our guides. We are a big group of over 6 people. Can we have the tour? We believe that 8 people is a maximum for comfortable and flexible private tour. Please contact us, if you have a bigger number of people. What we could do is split your group into smaller groups. Every small group will have their own guide. Can I order pick-up from airport? Yes, you can order a pick up just email us. The English-speaking driver will be waiting for you with your name plate. Can you help us with visa application? 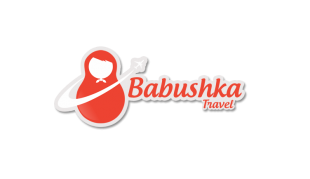 Babushka Travel does city tours only and organizes visa tickets for cruise passengers.You can order and receive your Russian visa invitation online within minutes at getrussian.com. It also has a simple step-by-step guide to obtaining Russian visa.